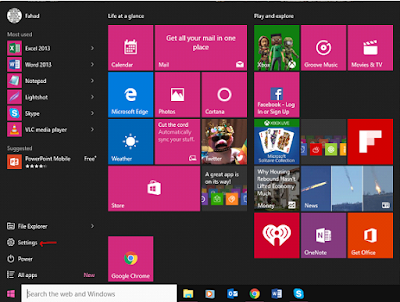 Having a backup of your Windows has become very crucial. You never know when a virus or a malicious file may harm your system, and you lose all of your important data. 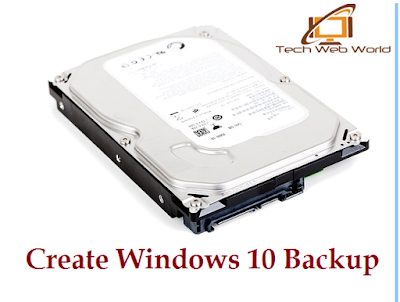 When you create a backup of your Windows, it creates a bit-by-bit copy of your entire system, contains full installation of your operating system, settings, desktop programs, Windows apps and other personal files as well. The main benefit is that you always have a complete backup of your Windows that can be restored anytime in the event of a virus attack or a corrupt Windows. However, you cannot choose to restore individual files, instead, you have to restore everything into the same pen drive. 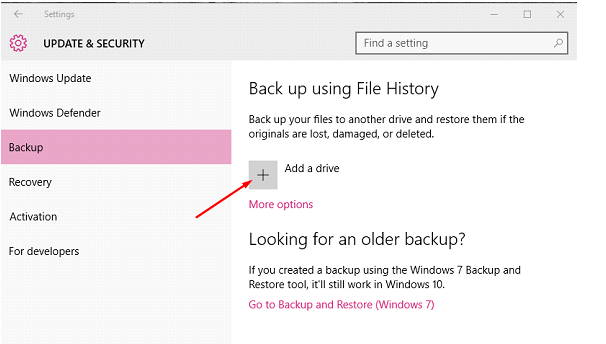 The best thing I liked about Windows 10 is that it allows an easy backup of the backup. This means you can create as many backups as you can. If you want to backup your data in primary hard drive partition and have low space issue then kill Windows.old folder to get more space. If you haven’t kept a regular backup, and a sudden unexpected system failure occurs, you could possibly lose your important files and other software. A huge benefit of making a Windows Backup is that, whether you have a single partition or multiple, you always get a full system backup. However, the drawback here is that you will need an external storage device with more storage capacity if you have multiple partitions because there would be more data to be backup. So, this makes it crucial for you to “must” have a system backup. Make sure you have a pen drive with more empty storage space than your PC's data, I'd recommend you to get a 32GB or a 64GB USB drive or an external hard drive would be a better option. 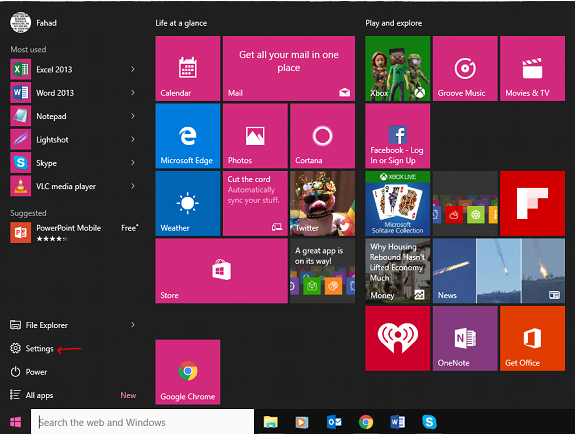 To help you out, I have created a very simple step-by-step guide on having a Backup in Windows 10. Please take your time to follow these steps as they will be of great use in the future. 1: Click on the start button, and then tap on Settings. 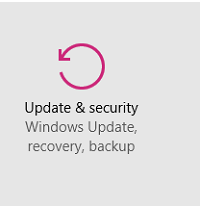 2: Now, go to “update & Security”. 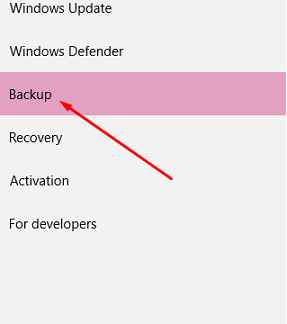 3: From the left pane, tap on Backup. 4: Next you have to click on the “add a drive” button, and choose an external drive or network location where you have to store your backups. 5: Depending on the size of your system, it can take up to an hour or more for creating a full backup of your Windows. So, be patient while it’s being processed. Once done, unplug the external drive and save it at a safe location. That’s all! Now you can comfortably work on your system without any worries of losing your data. But be sure that you keep a regular backup of your system. I hope the guide was useful and you have had no issues throughout the entire process. Leave your feedback and other queries in comments.